Researchers from the NIST in the US have found that short, weak energy pulses can be used to change RRAM states. This method is much more efficient and reliably than current switching techniques. 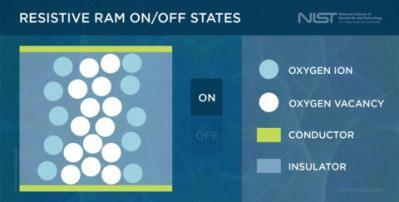 The researchers explain that current RRAM devices use single relatively high-energy pulses in order to switch the state (on / off, or 1 / 0). This is an unreliable method. The researchers have now discovered that short pulses (only 100 picoseconds in total), even very weak ones, are useful to switch the state. Researchers at Moscow's Institute of Physics and Technology (MIPT) developed a method of depositing the functional layers of an RRAM memory cell using high quality ALD coating. The researchers report that ALD enables a controllable growth of oxygen deficient oxides. The MIPT researchers used production-proven ALD equipment made by Picosun. The researchers now want to see whether the ALD process can be scaled to an industrial-scale production process. 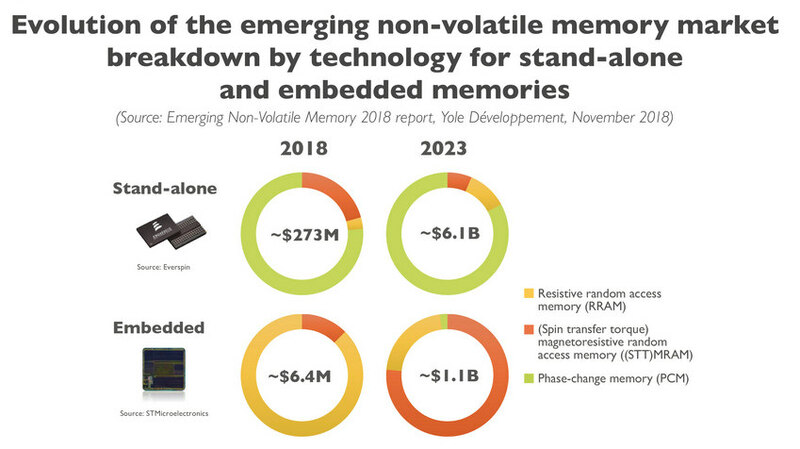 Yole Developpement says that emerging Non-Volatile Memories (NVM) will generate $53 million in sales in 2015, but the market will grow quickly to $4.6 billion 2021. 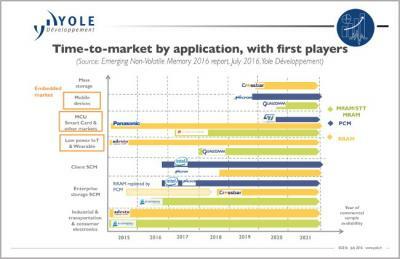 That's a CAGR of 110%! The market is still limited to niche markets due to the limited densities, but this will change in the near future, and Yole says that the clear go-to market for emerging-NVM will be storage-class memory. 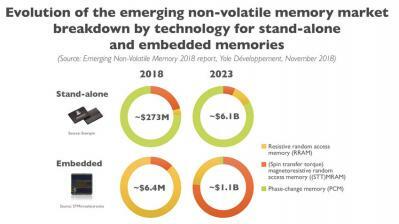 High-capacity SCM applications will use either phase-change memory or RRAM memory, while applications that require high endurance and speed will adopt STT-MRAM memories.